Continuing on the theme of the thyroid, this blog discusses the link between your gut and two of the most common autoimmune thyroid disfunctions: Hashimoto's and Graves disease. Autoimmunity involves your body confusing your own tissue with pathogens and other outside invaders, causing it to attack itself. What causes autoimmune disease of the thyroid? According to doctor Alessio Fasano (world renowned medical doctor, gastroenterologist and researcher), we now understand the mechanics in the body that lead to a 'leaky gut', considered to be one of the primary triggers for all autoimmune disease. Leaky gut occurs when the tight junctions in the lining of your gastrointestinal tract (specifically your small intestine) become bigger, allowing particles not intended to be outside the GI tract to escape into your bloodstream. Toxins, microbes and partially digested food particles travelling around the body cause the immune system to go on high alert, in order to neutralise these 'threats'. Unfortunately, when your gut is leaky, these threats keep coming, putting your body in a state of chronic ongoing inflammation. As the immune system becomes more and more stressed, it begins to attack your own tissue by mistake, putting you on the path to one or more autoimmune diseases. According to Tom O'Bryon (internationally renowned speaker and educator on gluten-associated disorders), gluten sensitivity is becoming more and more common. In fact, he goes as far as stating that it is the most common trigger responsible for opening up the gateway in the development of autoimmune disease. 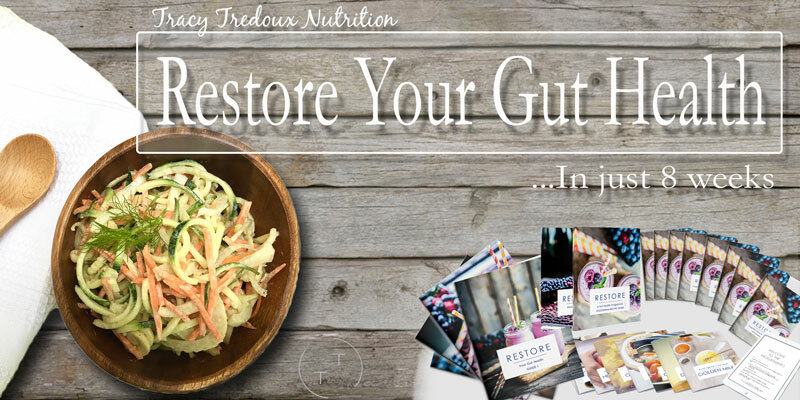 If you believe that you may be suffering from an autoimmune issue or thyroid problems, you may benefit from my Restore Your Gut Health programme. Visit the programme page to learn what a healthy gut can do for you. Gluten is one of the main causes of leaky gut in people with a thyroid issue and autoimmune disease. This is not limited to those with Celiac disease, but includes anyone with gluten sensitivity. Gluten proteins, once in the small intestine, activate zonulin production. Zonulin is a chemical that signals the tight junctions of the gut wall to open. The more zonulin the body produces, the more permeable (leaky) the gut becomes. Unfortunately the gluten that causes your gut to become leaky is more likely to lead to the development of autoimmune thyroid disease, due to its structural similarity to thyroid tissue. Every time your body is exposed to a (perceived) threat, your immune system memorises the molecular structure and protein sequence of the threat (toxin, pathogen and/or undigested food particle) in order to recognise it in the future. However, when there are very similar lookalike molecules, the immune system can be fooled into attacking that, even when the lookalike molecules are actually your body's own tissue, causing autoimmune disease. In the case of the thyroid, both casein (dairy) and gluten proteins (likely to be rampant in your bloodstream, thanks to your leaky gut) put the thyroid at risk of rogue autoimmune attacks. These attacks can lead to either autoimmune hypothyroidism (Hashimoto's) causing your metabolic processes to slow down, or autoimmune hyperthyroidism (Grave's disease), causing your thyroid to overproduce its hormones and sending your metabolism into overdrive. This molecular mimicry phenomenon also impacts thyroid function in people who have non-autoimmune thyroid disease. 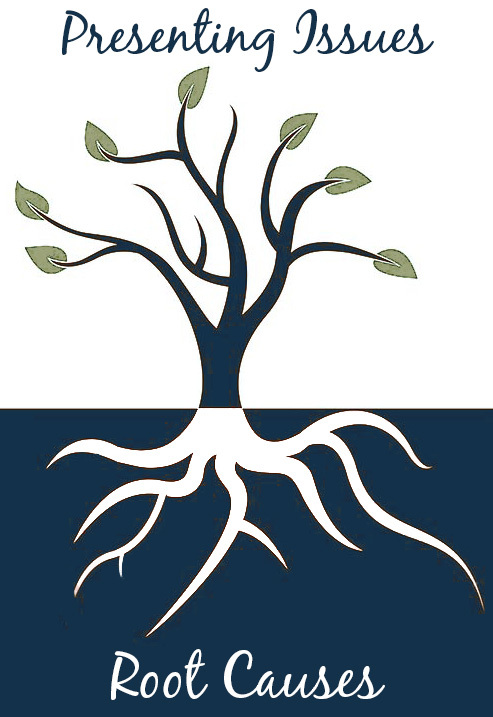 Understanding the possible root causes of a problem is the first step to resolving it. If leaky gut is indeed the cause of your thyroid disease, closing the tight junctions, reducing inflammation, strengthening the immune system in your gut and replenishing your good bacteria will go a long way to restoring your overall health.